Spencer is fascinated with views and orientation, light and space. Before starting any project he immerses himself in the local environment, culture and landscape; these factors all influence his creative thinking. Spencer’s early training at technical school, where he practised woodwork, metalwork and technical drawing, turned him into a fine draughtsman and gave him a love of raw materials. He delights in the integrity of noble materials and loves to work with marble, oak and stone using hand-crafted finishes and interesting natural or historic materials. Functionality is never compromised, yet he pushes boundaries with detail, always upgrading and raising the benchmark. He excels in attention to detail, and works with teams of specialist craftsmen using traditional techniques alongside cutting-edge technology. 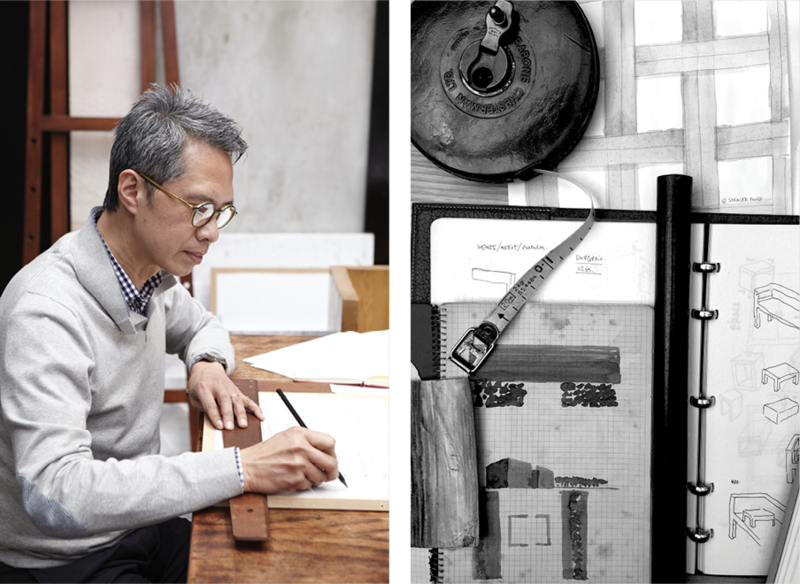 Spencer trained at Cambridge University and the Architectural Association School of Architecture and founded Spencer Fung Architects in 1990. Projects include: luxury world-class hotels, spas, restaurants, retail spaces, work studios, barn conversions, homes, offices, yachts, private jets. Clients include: The Berkeley Hotel, The Royal Opera House, Netjets, Bamford, General Trading Company, Daylesford and Marie-Chantal.